Monday afternoon brought good news for daily fantasy sports players in New York. DraftKings and FanDuel, which enjoy a combined 95% market share but have come under major legal scrutiny since October, have been granted a "permanent stay" to continue operating while they appeal New York Attorney General Eric Schneiderman's injunction against them. It is a small victory, but by no means a ruling on whether the companies will live to permanently do business in the state that is their most important market. For now, they live until at least May. In November, Schneiderman sent both companies cease-and-desist letters, calling them "illegal gambling operators" and accusing them of "fleecing consumers." After a hearing on the day before Thanksgiving, a New York Supreme Court judge took two full weeks to deliberate and ultimately backed Schneiderman's injunction. After that ruling, on the same day, a different judge in New York granted both companies a temporary stay of the injunction. That stay is now permanent for the full duration of the appeal. The two companies are fighting the Attorney General in separate lawsuits, but have said they are communicating with each other. FanDuel and DraftKings, billion-dollar tech "unicorns" that launched in 2009 and in 2012, respectively, first came under fire in October after a DraftKings employee won $350,000 playing in a contest on FanDuel. Both companies swiftly changed their rules to bar employees from playing on any daily fantasy sites, but the damage was done: The scandal put a black mark on the industry, and negative attention from lawmakers soon followed. In the weeks since, some states have appeared to follow New York's lead, such as Illinois, where Attorney General Lisa Madigan has made clear her opinion that daily fantasy sports is illegal gambling, and asked both companies to stop operating (they have not). Other states have come out to say they would like to keep the games legal, but regulate them. Massachusetts Attorney General Maura Healey proposed her own unique set of rules for the companies in her state, and there is a hearing in the state on Tuesday to discuss the regulations. To navigate this new legal morass, Boston-based DraftKings in November retained the outside counsel of Boies, Schiller, a prominent firm that happens to be representing embattled biotech startup Theranos as well. 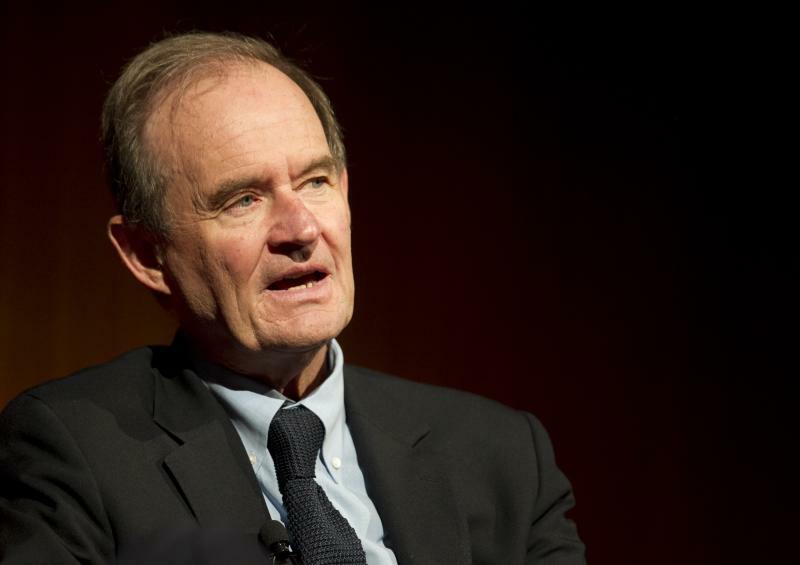 David Boies spoke to Yahoo Finance exclusively by phone on Monday after the permanent stay was granted. What follows is an edited transcript. Yahoo Finance: Did getting the permanent stay come as a surprise, or you were counting on it? David Boies: It is something that we thought we should get, so I don’t think it comes as a surprise, but obviously a stay is very important. It’s something that was very hard fought on both sides. Particularly because one of the biggest questions is the likelihood of success [of the appeal] on the merits. But does the stay really suggest anything about the ultimate outcome? Some people are confusing getting a stay with some kind of court ruling. Well, while a continuation of the status quo is very important to the company, I think the reason that people spent so much time on both sides of this issue was because of its implications for the ultimate resolution. Right now there's just so much legal news about this industry—every week another state comes out and either says it wants to regulate, or wants to ban. Is it getting overwhelming? You can't be everywhere at once. We can’t be everywhere at once. [Laughs.] I think that while there have been a number of states that have reaffirmed the legality and then there have been a few states that, like New York, have raised questions, I think that in the majority of states, the status quo is continuing along without a lot of controversy. It’s easy to look at five or six or seven states and forget that there are many, many states where things are just going along as they have been. If it continues to be a state-by-state issue, are other states likely to just follow New York's lead? I think that’s right. New York is the farthest along of any of the states, and I think people around the country will look at what New York does. Is it possible that some of the state lawmakers coming out and declaring an opinion on this industry are only doing so because of what's going on in New York? They see what's happening here and think they need to look like they're up to speed, too. Well, any time you have a state like New York who takes on an issue like this, it’s natural for attorneys general in other areas to say, ‘Okay, let’s have us take a look at it too.' So there's some of that. Does all the heightened activity, and the negative press it generates, worry you? Does it start to seem like a general tide against DraftKings and against daily fantasy sports? No, no. I mean, there’s a lot of activity going on, but no court has yet ruled against us. [Note: That's not entirely true—New York State Supreme Court Justice Manuel Mendez ruled in favor of Attorney General Schneiderman's injunction against DraftKings and FanDuel in December; but it was not a trial, and both companies quickly appealed.] And the only real litigation that is ongoing is here in New York. There will be, but that’s not really going to start up yet. So that leaves Nevada as the only new state this year to go against you guys. Yes, and remember, what they said was they simply wanted people to get gaming licenses. And it’s natural that the Gaming Control Board would want people to get gaming licenses. So I think Nevada is unique for a lot of reasons. And it wasn't one of the top five market states for DraftKings anyway. Oh, no, not at all. It was a tiny state in terms of participants. When exactly will the next hearing in New York on this matter be? There’ll be a hearing in May. We don’t have a specific date in May, but that is when there will be a hearing. So, you guys get to keep operating at least that long. Why else is receiving the stay a big deal? The good thing is it’s now perceived in a very orderly way. We’ll file our brief, they’ll file a response, we’ll file a reply, the court will hold oral arguments, and we’ll have a chance for a full explication of the facts. And that’s what we always thought was important. We’ve always believed that if everybody had a chance to look at the facts, this should not be a contentious issue. First, there’s no difference between daily fantasy contests and season-long fantasy contests, other than their durations. To the extent that there is any difference, the daily contests require more skill. And the Attorney General has always recognized that season-long contests are legal. Second, both the experience of people playing it, and the statistical studies experts have done, demonstrate conclusively that fantasy sports contests are contests of skill, the outcome of which is under the control of the participants. That’s the only thing that explains why the same people win again and again. That doesn’t happen in a game of chance. The third point is that this has been going on for years. No one has ever thought before that these were games of gambling or games of chance. The NFL, MLB, NBA, Fox Sports, KKR [Kohlberg Kravis Roberts], all these major companies, none of them would be involved in illegal gambling. That last argument, you've made that before, but it doesn't strike me as your strongest point—that it should be left alone because it was always left alone until now. If it was always fine, then what changed, why did states decide to go after it now? Something changed in their minds. This all grew out of an investigation into whether somebody had used inside information to play the game. And it turns out he had not. But I think that sort of started it. And sometimes these investigations develop a mind of their own. Was it the scandal, or could it have been the advertising? Or the money being made? I think the advertising had an effect, but how much advertising they do doesn’t determine whetehr it’s illegal gambling or not. And the size of the prize doesn’t determine whether it’s illegal gambling or not. Is it fun at all? Stressful, but exciting because it's under the microscope, it'll prove to be landmark for the future of this industry. Oh, absolutely. It’s landmark, it’s fun, it’s one of those cases that my children actually understand and don't find boring. Most of my work my children find boring. But they know about DraftKings and they play it. Disclaimer: Yahoo launched its own daily fantasy sports platform last year.